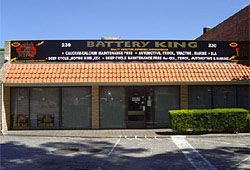 With over 50 years combined experience, we at Battery King Australia can help you with your power needs.With agents through out Western Australia our network is vast. If you would like to be a part of this network wholesale enquiries are welcome. Being suppliers to the mining, automotive , marine and industrial sectors means we have the battery to power your needs. 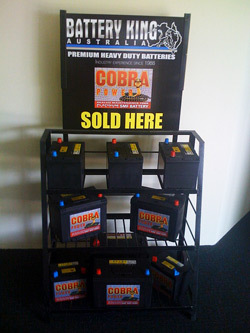 A battery king representative will keep your stock rotated and displayed so that it is always at hand.